Hmmm... sometimes people tend to forget and need to be reminded. Well... this also including me. 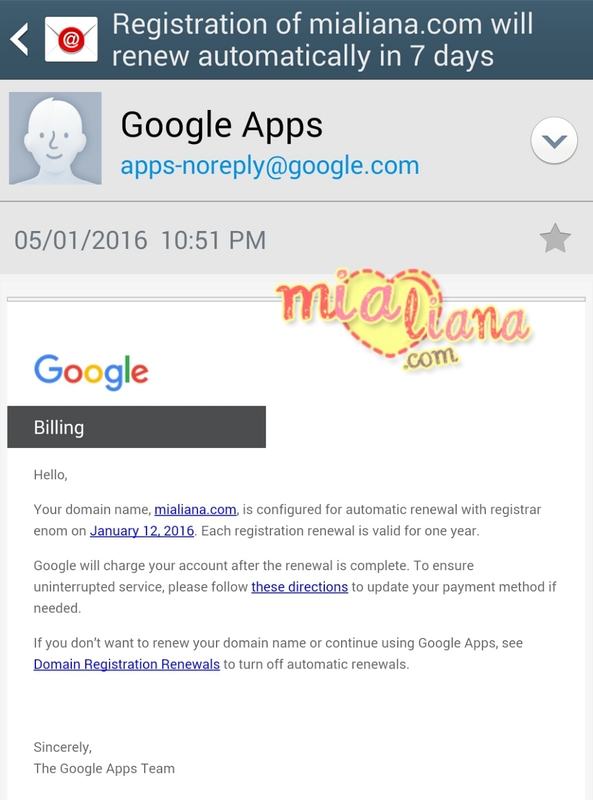 So.. last week I received a reminder email for domain Mialiana.com renewal. Will be expired on 12 January 2016. Every year.... January seems to be the hardest month. I already scheduled for automatically renewal every year. So.. just stay calm and no need to be worried. Payment will be done via online and I will received the notification by email. 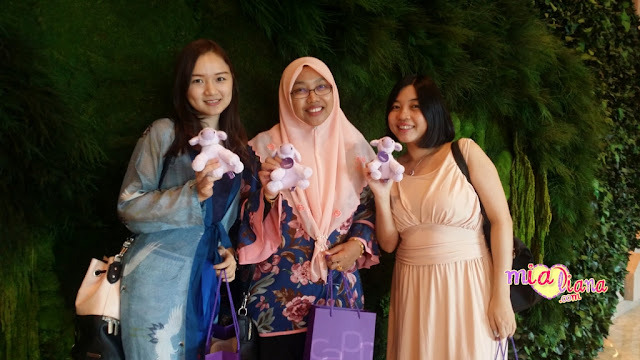 berapa harga domain setahun n mia beli kat mana? tq. USD10 setahun. 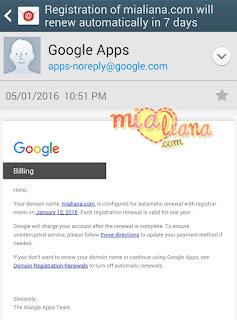 Mia beli dengan google. Bayar guna kad kredit. Dulu pernah teringin nak domain sendiri..
Selalu berangan perducinca.com...haha...cubit pipi sikit..
Good morning, my beloved friend in Malasia, here is Carlos from Brazil English tips and Voz do Povo blog. Good to see you. Bestnya ada domain sendiri ni. Anyway go go fo sis beejuang dlm blogging bersama domain pilihan. And yes people need to be remind because all of us can't remember everything. May Allah ease.